Well, sorta. Actually, it’s just the Feast of St. Nikolaas, which is, admittedly, a lot different from Christmas. They still have regular Christmas on the 25th, but as you might have guessed from the name of the Feast, the 6th of December focuses on celebrating St. Nikolaas, who is the inspiration for our own Santa. Even so, there are some distinct differences between Christmas and this mini-Christmas-before-Christmas. 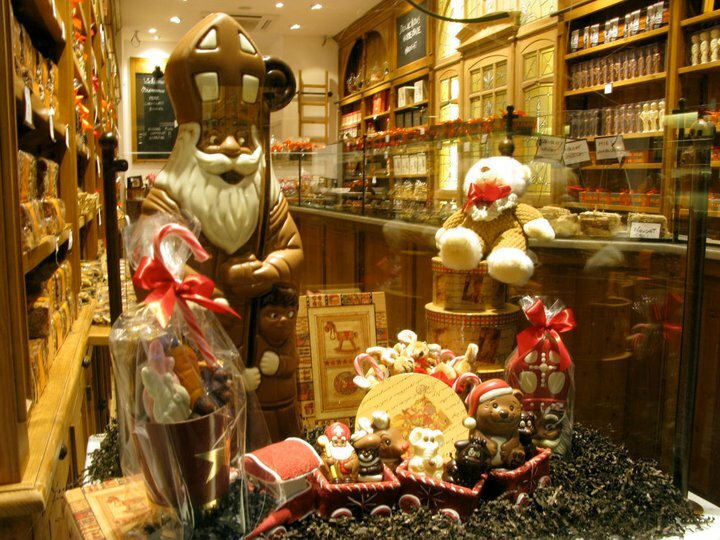 For starters, Sinterklaas (or St. Nikolaas) isn’t exactly Santa Claus. 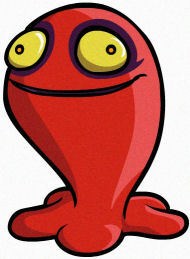 In fact, the first time I saw him, it was in this form. That’s him made of chocolate on the left. Sometimes the little differences are things that stick with you most from place to place. Take for instance, fire hydrants. How often do you really notice them, aside from when you’ve accidentally parked next to one or when something nearby is on fire? Honestly, I could have gone my whole life under the assumption that fire hydrant technology is pretty much the same everywhere, having plateaued years ago. But one trip to Liege changed all that. One trip, and this little feller. 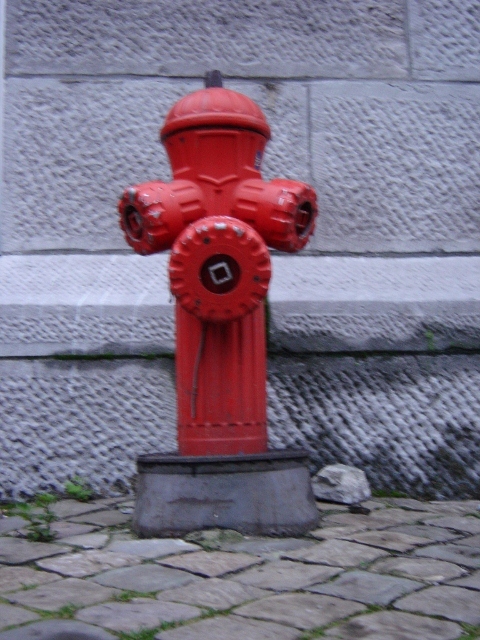 Are there other cities around Europe which also have their own, specially designed fire hydrants? If so, who is catering to these cities’ needs? Is there a dedicated fire hydrant factory somewhere? A whole company? Can I take a tour? 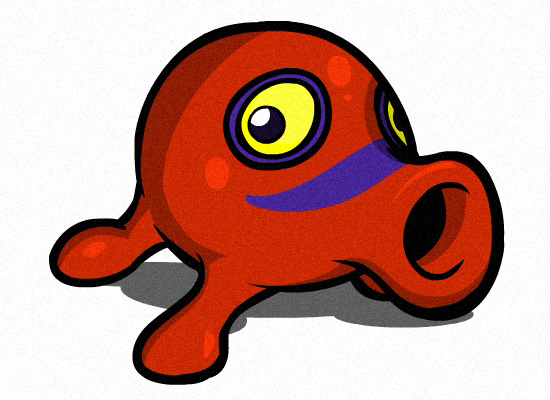 And what’s so advantageous about this particular design? Is it functional, or is it simply aesthetic? 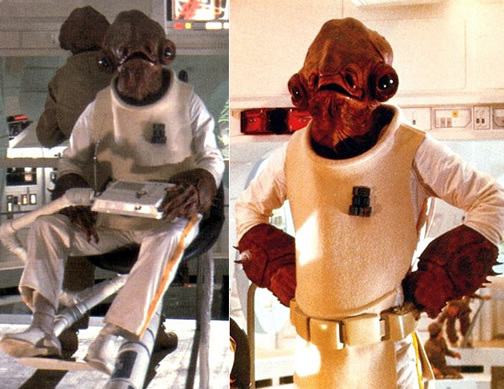 Did the designer take inspiration from two monsters from The Legend of Zelda and Admiral Ackbar? While new worlds haven’t exactly been opened before my eyes, I do truly wonder if we’ll keep finding quirky versions of mundane objects in our continued travels. Here’s to hoping. Hit the comments if you’ve found any other excitingly normal objects in your own travels. Things that are Different: Vending Machines — BONUS POST! 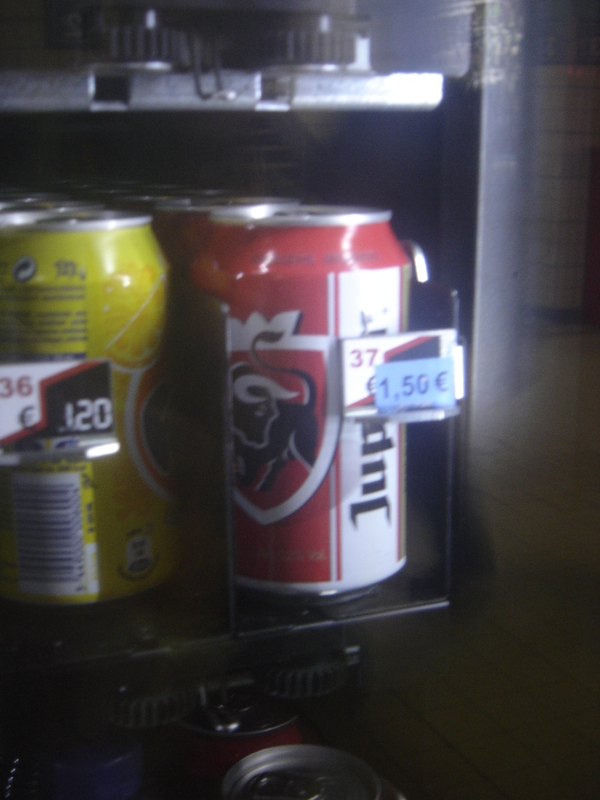 In Belgium, vending machines are different. In many ways, that’s not surprising. Different countries are bound to have different vending machine tech (though Japan’s is probably the best). But the best difference between American and Belgian vending machines? Yes, that’s beer–specifically, Jupiler (pronounced you-pill-air)–nestled next to that Fanta. What’s more excellent is that people purchase beer out of these vending machines with just about the same frequency they purchase pop. Then they walk around town with tallboys in their hands, just a’sippin’ away. This dedication to beer accessibility is something that we Americans can learn from our Flemish brothers and sisters. In Belgium, laundry is different. How could laundry really be that different you might ask? Well, there are several ways. First of all, laundry detergent smells different and has French and Dutch writing on the packaging (weird!). Where’s the Tide?! Why Tide is no where to be found in this god-forsaken country. And Bounce dryer sheets? None. But I guess we can make due with our off-brand detergent for now. It’s really not that big of a deal. Plus, our off-brand detergent smells amazing, so I am not complaining, just commenting. Secondly, there is no laundry in the building. LAME! So in order to wash out clothes, we had to trek at least ¾ of a mile lugging our heavy and awkwardly shaped laundry bags with us. We received many questioning glances along the way, as if Leuven-ites never carried their laundry bags on their heads because it is the only way to evenly distribute the weight of the bag properly! Turns out, there might be a laundromat closer to our apartment, but we didn’t know about it. So thus concludes our “laundry is different” post. I hope you have a new found appreciation for the cost of clothes washing in the States, and we hope you’ve enjoyed reading it. A quick addendum to the “Bikes are different” post made earlier by my cohort: He forgot many things that are different about bikes which I hope you will find interesting. First of all, the locks are different. Mainly, people don’t lock them. Bikes are chained to absolutely nothing. Occasionally, the cyclist will lock the back wheel to the frame, but for the most part, bikes are just left out on the sidewalk amongst a cluster of other unlocked bikes. There’s almost a complete lack of things to fasten them to anyway, so it’s understandable. And, evidently, people aren’t worried about their bikes being stolen. Most likely the bike is rented anyway, and the cyclist only paid about 36 euro/year to rent it. Sooooo, not as necessary to guard the bike with your life as if it is your pride and joy like some people we know (*cough* Trevor). But this also makes them less tempting to steal. However, I don’t believe we’ll have our bikes shipped over as they are much nicer/newer/generally more awesome than all the crappy bikes here, and they might actually get stolen. Now, it’s important to note that in “Things that are different,” we will not be highlighting things that are “different” in general (e.g. “He drives a unicycle to work? That’s … different.”). Instead, we’ll specifically be highlighting things in Belgium which are different from their counterparts in the United States (leaving aside the fact that everything here is, necessarily, different from the things that are there). Fun, huh? In Belgium, bikes are different. 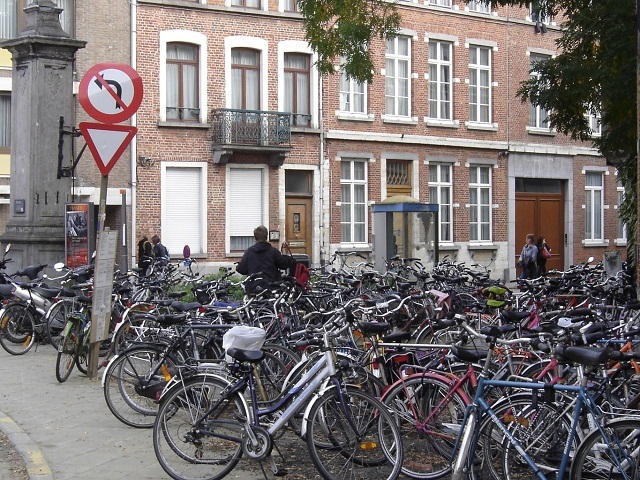 For starters, bikes in Belgium are different because people ride them. Like, a lot of people. A lot a lot. The young woman above probably just wanted to go home after class at the Institute of Philosophy. Well too freaking bad. While you were in class, ma’am, 100 other people parked their bikes haphazardly around yours.